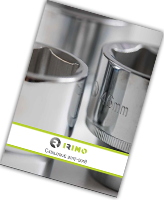 More than 75 years, Irimo hand tool is a synonym for quality, functionality and confidentiality. The professionals are choosing it, because they believe in it! The wide assortment of Irimo tools also includes tools for repair and maintenance of cars and the same are appointed as the leader in this segment. Irimo is always striving and adapting towards meeting the needs of the consumers and because of this the professionals will always choose Irimo as a synonym for available and trusted quality.